Ramalingam’s magnum opus Arutperumjothi Agaval affirms that there is a vast and diverse plurality of “supernatural” beings, with superhuman, but limited powers and functions, at work and play in a variety of universes, including our own. All are subject, ultimately and naturally, to the omnipotent will of the supreme being Arutperumjothi, the Immense Light of Unique Compassion. In this series of posts, I want to show that some types of NDE (“Near-Death Experience”) are best explained in terms of veridical extra-sensory perception of “supernatural” beings. These types of NDE uniformly involve visions of angelic beings, or various “lights” which are perceived to be conscious beings, and so forth. There is a widespread tendency, given the reality of NDE’s and the ignorance about the reality and diversity of supernatural beings, to immediately begin babbling about “seeing God”, or about whether such near-death experiences constitute evidence for God’s existence, and so on, but these NDE’s have no necessary connection with God or ultimate reality. One of the remarkable NDE reports in recent times is the notable British philosopher A. J. Ayer’s (1910 – 1989) account of his near-death experience in a London hospital one day in June 1988, which he published in a piece entitled “What I Saw When I was Dead” in the London Daily Telegraph three months after the experience. “I did not attempt to eat the hospital food. My family and friends supplied all the food I needed. I am particularly fond of smoked salmon, and one evening I carelessly tossed a slice of it into my throat. It went down the wrong way and almost immediately the graph recording my heartbeats plummeted. The ward sister rushed to the rescue, but she was unable to prevent my heart from stopping. She and the doctor subsequently told me that I died in this sense for four minutes, and I have had no reason to disbelieve them. The doctor alarmed my son Nicholas, who had flown from New York to be by my bedside, by saying that it was not probable that I should recover, and moreover, that if I did recover physically it was not probable that my mental powers would be restored. The nurses were more optimistic, and Nicholas sensibly chose to believe them. I have no recollection of anything that was done to me at that time. Friends have told me that I was festooned with tubes, but I have never learned how many of them there were or, with one exception, what purposes they served. I do not remember having a tube inserted in my throat to bring up the quantity of phlegm which had lodged in my lungs. I was not even aware of my numerous visitors, so many of them, in fact, that the sister had to set a quota. I know that the doctors and nurses were surprised by the speed of my recovery and that when I started speaking, the specialist expressed astonishment that anyone with so little oxygen in his lungs should be so lucid. My first recorded utterance, which convinced those who heard it that I had not lost my wits, was the exclamation: “You are all mad.” I am not sure how this should be interpreted. It is possible that I took my audience to be Christians and was telling them that I had not discovered anything “on the other side.” It is also possible that I took them to be skeptics and was implying that I had discovered something. I think the former is more probable, as in the latter case I should more properly have exclaimed, “We are all mad.” All the same, I cannot be sure. The only memory that I have of an experience, closely encompassing my death, is very vivid. I was confronted by a red light, exceedingly bright, and also very painful even when I turned away from it. I was aware that this light was responsible for the government of the universe. Among its ministers were two creatures who had been put in charge of space. These ministers periodically inspected space and had recently carried out such an inspection. They had, however, failed to do their work properly, with the result that space, like a badly fitting jigsaw puzzle, was slightly out of joint. A further consequence was that the laws of nature had ceased to function as they should. I felt that it was up to me to put things right. I also had the motive of finding a way to extinguish the painful light. I assumed that it was signaling that space was awry and that it would switch itself off when order was restored. Unfortunately, I had no idea where the guardians of space had gone and feared that even if I found them I should not be able to communicate with them. It then occurred to me that whereas, until the present century, physicists accepted the Newtonian severance of space and time, it had become customary, since the vindication of Einstein’s general theory of relativity, to treat space-time as a single whole. Accordingly, I thought that I could cure space by operating upon time. I was vaguely aware that the ministers who had been given charge of time were in my neighborhood and I proceeded to hail them. I was again frustrated. Either they did not hear me, or they chose to ignore me, or they did not understand me. I then hit upon the expedient of walking up and down, waving my watch, in the hope of drawing their attention not to my watch itself but to the time which it measured. This elicited no response. I became more and more desperate, until the experience suddenly came to an end. 1. He suffered a certified cardiac arrest for at least four minutes. What this implies is that his brain was deprived of blood flow for four minutes! It is an established fact in medical science that brain activity starts to radically diminish within 10 seconds after a cardiac arrest. This means that Ayer’s brain activity must have significantly diminished and may have even undergone suspension for three minutes and fifty seconds ! 2. Further, the combination of cardiac arrest and the excess of phlegm resulting in the paucity of oxygen in his lungs, and, therefore, in his brain, makes it extremely improbable, from the standpoint of medical science, that any significant brain activity could have occurred during this time. From the standpoint of medical science, he was UNCONSCIOUS, which means the absence of conscious experience and thought!!! 3. However, Ayer had an astonishing near-death experience in this narrow window of time in which his brain activity must have diminished dramatically and even undergone suspension, and, what is truly baffling, was able to voluntarily engage in complex reasoning about space and time during the NDE. He was also able to recollect vividly the whole experience. 4. Curiously, by contrast, Ayer had no recollection, and presumably, no knowledge of what was being done to him, e.g., a tube being inserted into his lungs to drain the excess of phlegm in his lungs, the presence of visitors in the room, etc. If indeed Ayer’s complex NDE was merely a function of his severely impaired but still functioning brain, an absurd claim in itself and one that Ayer himself entertained, why on earth would this functioning brain have rendered him incapable of knowing what was being done to him by the nurses and the doctor, what was said by them in those moments, awareness of the presence of visitors, and so on? We should expect that his severely diminished brain activity and capacity would only, if at all, register something occurring in his vicinity in the hospital room rather than bring about an astonishing and coherent near-death experience marked by an encounter with “supernatural” beings and the ability to vividly recall that experience! 5. Ayer’s NDE encounter with a red light “responsible for the government of the universe” and its “ministers” was characterized by a remarkable continuity, and, hence, overall coherence. Now, it is extremely improbable that a severe impairment of the brain, of the sort Ayer must have undergone due to his cardiac arrest and the paucity of oxygen in his phlegm-filled lungs, can generate unusual experiences involving elements of complex reasoning (about space and time) by the subject and characterized by a remarkable overall coherence. 6. Although his physical eyes were incapacitated due to the cardiac arrest, Ayer could still perceive a red light and its “ministers” (the latter presumably had some form since he refers to them as “creatures”) and also perceive space. Given the incapacitated condition of his physical body and its brain, how on earth was it still possible for Ayer to vividly perceive color, form, and space? 7. Ayer also had an immediate, non-inferential knowledge of the fact that the Red Light he saw was responsible for the government (maintenance or regulation?) of the universe (this or some other universe) and that the “ministers” in its company were in charge of maintaining the structure of space. How could he possibly have known this non-inferentially were it not for the operation of some form of extra-sensory perception? Note also that his brain was severely impaired and could not possibly be the locus of this ESP. 8. Ayer mentions that the Red Light was not only painful to look at, but also caused pain when he turned away from it. This, obviously, implies that he could not only perceive color, but also experience pain. It also implies he could make a movement or motion with some form of body. This points to an explanation of his NDE in terms of the possession of a “subtle body” which is the locus of these perceptions, sensations, and motions. 9. 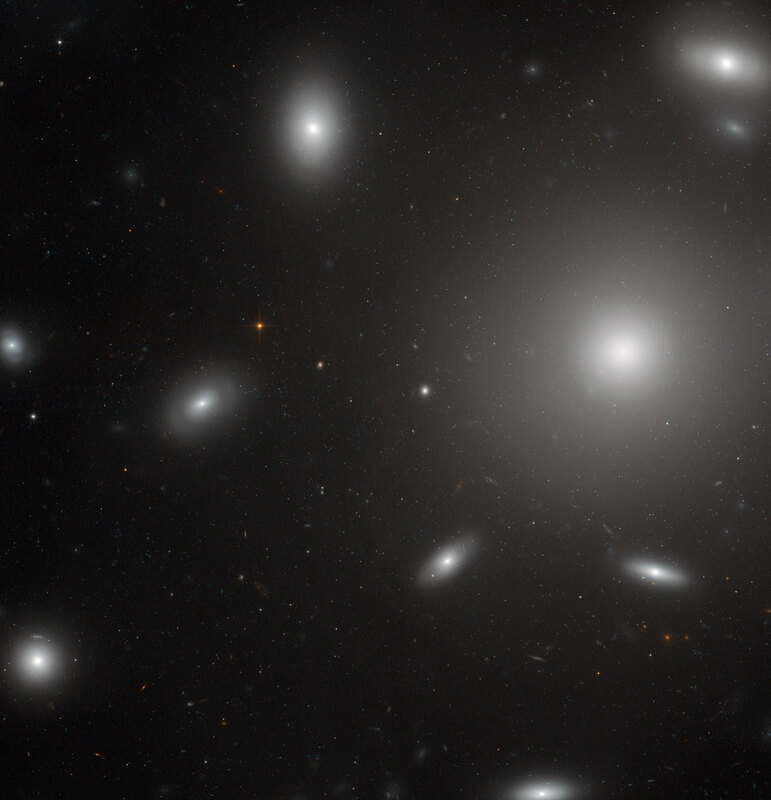 A remarkable feature of Ayer’s NDE is the striking contrast between his perception and knowledge of the governor of the universe and its ministers responsible for maintaining the structure of space and his attempts to communicate with them on the one hand , and, on the other hand, the total lack of any attempt on the part of these supernatural beings to acknowledge him or to communicate with him. Either they were aware of him and chose to ignore him in just the way human architects ignore a bird sitting on a branch, twittering, and watching them work, or they were unaware of his existence. If they were unaware of his existence, it is likely due to the fact that his subtle body was not perceived by them presumably because their bodies were completely different, e.g., made of a brightly colored substance of some kind. 10. Most remarkable is the fact that nothing in Ayer’s repertoire of materialist and naturalist beliefs prepared him for his NDE or led him even to anticipate remotely the likelihood of that NDE. In his account of his NDE, Ayer refers to some kind of “river” he had to cross and fails to describe how he managed to cross it on his second attempt, but it could have been a “river of light”, a band or barrier of light he had to cross to reach another realm and which he mistook for an actual “river”. Ayer suggests that this aspect of his NDE experience was elicited by his “classical education”. 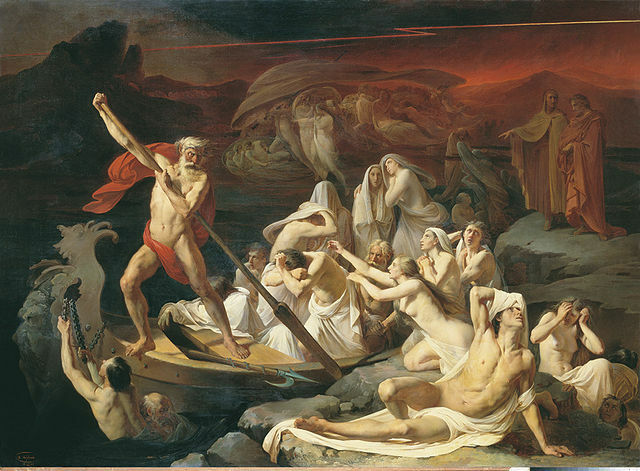 But a mere acquaintance or familiarity with the Greek legend of Charon assisting departed souls to cross the river Styx is woefully insufficient to account for this feature of Ayer’s NDE in which he attempted to cross some kind of “river” and succeeded on the second attempt. If his familiarity with the legend actually elicited this feature of his NDE, then why did he not also see Charon on his boat? And given the near cessation of his brain activity due to cardiac arrest and paucity of oxygen in his lungs, how exactly does his prior familiarity with the Greek myth have the power to shape his NDE? Why doesn’t everyone who is familiar with the Greek myth or fervently believes in it and has an NDE see the river, Charon, and his boat? I think that the invocation of Ayer’s familiarity with the Greek myth of Charon in this context has all the hallmarks of an implausible “ad hoc hypothesis” in defense of a materialist or naturalist theory of consciousness and the universe! And what about the red light “responsible for the government of the universe” and its “ministers” in charge of space-time? There is absolutely nothing in Ayer’s well-known stock of beliefs and views which contains or even remotely suggests anything like the existence of these sorts of entities. What background beliefs, then, could have elicited or brought about these central features of his NDE? I see absolutely no connection between Ayer’s belief-system and his NDE. In fact, everything we know about his belief-system emphatically excludes the likelihood of having an NDE, not to mention having the sort of NDE he had. All these features and implications of his NDE make Ayer’s desperate attempts in subsequent pieces on his NDE, notwithstanding his grudging and attenuated acknowledgment that the NDE has merely somewhat weakened his inflexible attitude toward his belief that conscious experience cannot survive the death of the brain, to cling to a materialist/naturalist view of consciousness and the universe intellectually pathetic, cowardly, and dishonest. In terms of the worldview of Suddha Sanmargam, based on Ramalingam’s Agaval and the Vinappams or Petitions of Suddha Sanmargam, consciousness is our essential property given our status as souls or individual subjects capable of experience, knowledge, volition, and intentional action. Our consciousness is not dependent on the brain for its existence, but, rather, uses the brain as its instrument to gather experience, know, and function in the material world. However, our consciousness is finite. It is also afflicted by ignorance and its train of limitations and flaws. Hence, we do not know many of the salient truths pertaining to our own embodiment. The mind-boggling relation between our consciousness and the brain is the result of supernatural intelligent design, and, ultimately, an act of compassion by Arutperumjothi to facilitate the development of souls from a state of primeval ignorance. Hence, the exact nature of the relation between our consciousness and the body we temporarily inhabit will remain enigmatic unless we attain enlightenment, or unitive experience and knowledge of Arutperumjothi. “Disembodiment”, whether by means of death, or cardiac arrest, or other unusual causes, frees our consciousness from its habitual confinement, by way of identification and attachment, to the physical body and its limitations. Hence, we should expect disembodiment to expand the range of perceptions our consciousness is capable of and this may well include perceptions of some “supernatural” beings, particularly those beings which inhabit the realm or universe into which we have drifted in our freedom from the confines of the physical body. Actually, “disembodiment” is a misnomer for the condition of our consciousness after separation from the confines of the (gross) physical body. In one of the Vinappams or Petitions of Suddha Sanmargam addressed to Arutperumjothi, Ramalingam refers to a “subtle form” inhabited by a soul prior to its embodiment in the gross physical body. He also expresses his awe and gratitude at the power of Arutperumjothi in effortlessly and harmoniously bringing about not only a soul’s embodiment in this subtle form or body, but also its further embodiment in a gross (antonym of “subtle”) physical body. This “subtle form” or subtle body is the instrument used by our consciousness after the death of the physical body. Many aspects of Ayer’s NDE (and, generally, many aspects of NDE’s and OBE’s or Out-of-Body-Experiences) make sense only on the supposition of a subtle body with its own modes of perception, including perception of color and form. That part of Ayer’s NDE in which he sees the red light and its ministers and walks up and down waving his hands trying to draw the attention of the supernatural “ministers” in charge of space-time may best be explained in terms of having a subtle body and making the relevant motions with it. Since his physical body and its eyes were not functioning normally due to cardiac arrest, his near-death experience involving perception of color and form can only be explained in terms of the possession of another type of body, a “subtle body”, with its own capacities of perception. His claim that the red light was painful to look at clearly implies experience of pain and his claim that it was uncomfortable even when he turned away from it implies some type of bodily motion. All this points to the best explanation of his near-death experience in terms of its locus in a subtle body independent of his physical body. I will examine these issues further in my next post in this series.